Texas Parks and Wildlife Commissioners have unanimously approved a proposed land swap that will give nearly 600 new acres of public lands to Big Bend Ranch State Park in West Texas. The vote came at a Thursday morning meeting that also included a handful of other proposals related to public lands. Commissioners also voted to approve a 50-acre expansion plan for Balmorhea State Park. 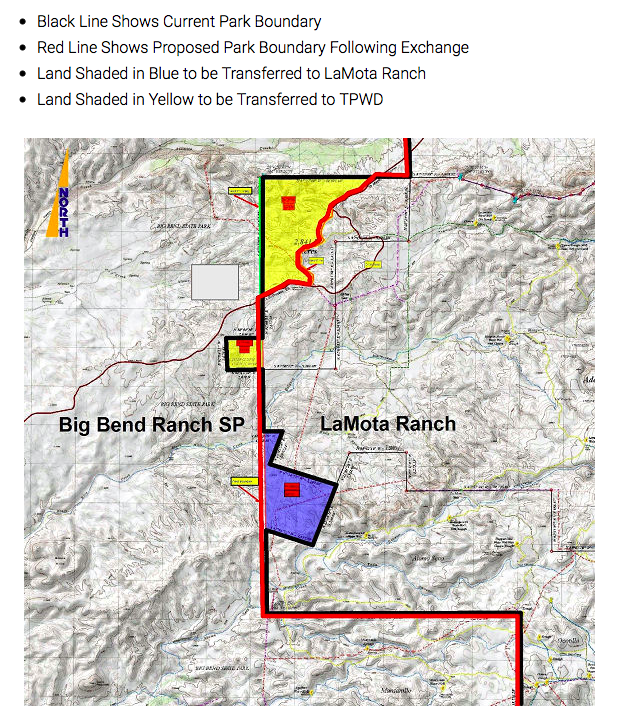 Under the plan, the privately-owned LaMota Ranch will hand over about 1,200 acres of its land to the park, and the private will get about 600 acres from Big Bend Ranch in return. The state park will come away with about 578 acres of new public lands located off Casa Piedra Road, a scenic dirt road through the area. The land swap is aimed at straightening up a meandering part of the boundary between the park and LaMota Ranch, and to make it easier to fence that line. Still, Ted Hollingsworth with the parks and wildlife department’s land conservation program said the new lands near the Cienega Mountains will be an asset. Big Bend Ranch Superintendent Sean Dungan said Wednesday the plan sounds like a good deal. The new park lands will give the public easier access to a wetter, greener part of the park in the slightly higher elevation of the Cienega Mountains. “I’ve been in that part of the park and it is really beautiful,” Dungan said. LaMota previously donated more than 13,000 acres to the park in 2000. The proposal flew somewhat under the radar, having first been reported by the Austin-American Statesman on Wednesday (January 20), though the Texas Parks and Wildlife Department says it did publish notices of the proposal in the Alpine Avalanche and the Odessa American in recent weeks. The parks and wildlife department only received one public comment on the proposal, filed in support of the plan. Hollingsworth said Thursday parks and wildlife is also watching for opportunities to buy other privately-owned land parcels within Big Bend Ranch. There’s no set timeline for when the land swap will be implemented. 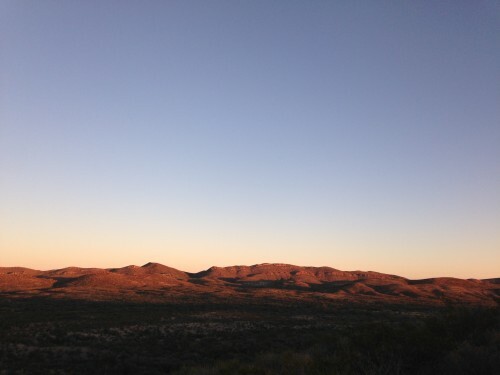 This entry was posted in KRTS News and tagged Big Bend Ranch State Park, Environment, La Mota Ranch, Land Swap, Outdoors, Presidio County, Public Lands, Texas Parks and Wildlife Department, West Texas. Bookmark the permalink.